There is currently increasing journalistic scrutiny of the atheist British scientist Richard Dawkins and his ally Sam Harris’ statements about Islam and Muslims. In December 2012, the Guardian published an excellent article highlighting the acclaimed physicist Professor Peter Higgs’ accurate observations about Dawkins’ pattern of behaviour when it comes to religion in general; Professor Higgs (of “Higgs Boson particle” fame) has forcefully criticised Dawkins. More recently, superb articles by Nathan Lean in Salon (focusing on Dawkins), Murtaza Hussain for Al Jazeera (focusing on Dawkins, Harris etc) and Glenn Greenwald in the Guardian (mentions Dawkins but focuses predominantly on Harris; also see here) have received considerable publicity. Readers are strongly advised to familiarise themselves with the information in all of these articles. In fact, as Nathan Lean’s Salon article mentioned, the following very revealing information recently surfaced: It turns out that Dawkins has publicly admitted that he hasn’t even read the Quran even though (in his own words) he “often says Islam is the greatest force for evil today”. Mainstream Islamic theology (including the associated impact on Muslim history) is not based solely on the Quran, of course, but Dawkins’ admission is indicative of a number of major problems on his part. So much for the credibility of Richard Dawkins’ “scientific method” in this particular subject. 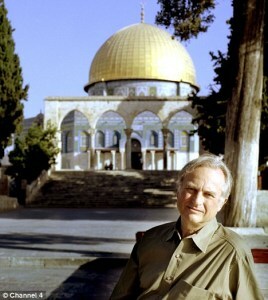 It goes without saying that this also raised questions about exactly which dubious second-hand sources Dawkins has been getting his information on Islam and Muslims from, if he hasn’t even taken the normal professional academic steps of reading the primary sacred text of the religion he has also described as “an unmitigated evil”. Not to mention the question of Dawkins’ real motivations for his current fixation with Islam and Muslims. Well, it appears that some answers are available. It certainly explains a great deal about Richard Dawkins’ behaviour. In the main part of this article beneath the “Summary” section below, I have listed 54 anti-Islam/anti-Muslim statements posted by Richard Dawkins on the discussion forum of one of his own websites. (The list of quotes also includes embedded URL links directly to the original statements on Dawkins’ website). 1. There is a direct connection to Robert Spencer’s inner circle. As confirmed by the URL link supplied by Richard Dawkins in quote #11, Dawkins has definitely been using that cabal’s anti-Muslim propaganda as a source of “information” for his own statements; Dawkins specifically links to the “Islam-Watch” website, which is a viciously anti-Muslim site in the same vein as JihadWatch and Gates of Vienna (both of which were the most heavily cited sources in the terrorist Anders Breivik’s manifesto). More pertinently, as confirmed by this affiliated webpage, the core founders & members of that website include the currently-unidentified individual who uses the online alias “Ali Sina”. This is the same fake “atheist Iranian ex-Muslim” who is a senior board member of “SIOA”/“SION”, an extremely anti-Muslim organisation whose leadership is formally allied with racist white supremacists & European neo-Nazis and has even organised joint public demonstrations with them. “Ali Sina” himself was also cited by Breivik in his manifesto. Note that the SIOA/SION leadership inner circle includes: a) AFDI and JihadWatch’s Robert Spencer, an ordained Catholic deacon who has been proven to have repeatedly made false statements about Islam & Muslims and has publicly admitted that his actions are heavily motivated by his (unilateral) agenda for the dominance of the Catholic Church; b) AFDI and Atlas Shrugs’ Pamela Geller, who is now on record as advocating what is effectively a “Final Solution” targeting British Muslims, including mass-murder; c) the English Defence League leadership; and d) David Yerushalmi, the head of an organisation whose mission statement explicitly declares that its members are “dedicated to the rejection of democracy” in the United States. Furthermore, Yerushalmi believes that American women shouldn’t even have the right to vote. 2. After Nathan Lean and Glenn Greenwald published the aforementioned Salon and Guardian articles, both “Ali Sina” and Robert Spencer rapidly wrote lengthy articles on their respective websites defending Richard Dawkins and Sam Harris. It would therefore be constructive for Richard Dawkins and Sam Harris to publicly clarify if they welcome or reject “Ali Sina” & Robert Spencer’s support. It would also be constructive for Dawkins and Harris to publicly clarify the nature and extent of their involvement with “Ali Sina” & Robert Spencer. 3. Richard Dawkins’ anti-Islam/anti-Muslim narrative (including the stereotyped caricature and his own convoluted strawman arguments) is essentially identical to the hatred-inciting, theologically-, historically- & factually-distorted/falsified propaganda promoted by Far-Right groups such as the English Defence League and especially the owners of JihadWatch and Gates of Vienna. This is clearly not just a coincidence, considering Dawkins’ online sources of [mis]information. 4. Richard Dawkins is now on record as making a series of extremely derogatory statements in which he bizarrely refers to Islam (a religious belief system) as though it were a conscious, sentient entity (see #5, #32, #36, #49). The nature of those statements suggests that Dawkins is actually referring to Muslims. (Also see #7). 5. Richard Dawkins is now on record as repeatedly defending Sam Harris, including Harris’ claims about Muslims and Islam (see #42, #43). 7. Richard Dawkins is now on record as publicly claiming that “communities” has become code for “Muslims” (see #18) and that “multiculturalism” in Europe is code for “Islam” (see #19). 8. Richard Dawkins is now on record as repeatedly praising & defending Ayaan Hirsi Ali (see #20, #26, #50). Hirsi Ali has been proven to have fabricated aspects of her background/experiences (as confirmed by the BBC). Hirsi Ali is also on record as revealing the full scale of her horrific beliefs, including the fact that she sympathises with Anders Breivik and blames so-called “advocates of silence” for Breivik’s mass-murdering terrorist attack. 9. Richard Dawkins is now on record as repeatedly promoting the Far-Right conspiracy theory that British police avoid prosecuting Muslims due to fears of being labelled “racist” or “Islamophobic” (see #1, #24, #28, #45). Robert Spencer & Pamela Geller’s closest European allies, the English Defence League leadership, are amongst the most vocal advocates of this ridiculous conspiracy theory. 11. Richard Dawkins is now on record as proposing what is basically an “enemy of my enemy is my friend” strategy, specifically in terms of Christians vs. Muslims (see here and here. Also see #16). This raises questions about exactly how much support Dawkins has secretly been giving to certain extremist anti-Muslim individuals/groups, or at least how much he is personally aware that these groups are explicitly recycling Dawkins’ own rhetoric when demonising Islam & Muslims. 12. Richard Dawkins is now on record as exhibiting very disturbing attitudes towards the British Muslim Member of Parliament Baroness Sayeeda Warsi and the British Muslim Independent journalist Yasmin Alibhai-Brown, including repeatedly making highly offensive claims that they are “tokens” with zero qualifications for their respective jobs and are in positions of seniority/influence solely because they are “female, Muslim and brown/non-white” (See #25, #29, #30, #31, #35, #53). Dawkins clearly shares the EDL leadership’s noticeable hostility towards Baroness Warsi in particular; furthermore, note Dawkins’ sneering “open letter” to Baroness Warsi (see #29), and also note the fact that the EDL leadership recently published a similar “open letter” to Baroness Warsi on their main website, written by an unidentified anonymous author. 14. Richard Dawkins has enthusiastically republished a large number of viciously anti-Muslim comments originally posted on the discussion thread of a Telegraph article written by Baroness Warsi. Dawkins claimed that the only reason he was reproducing these comments on his own website was “because the Telegraph is apparently censoring them”. 15. Despite the claims of Richard Dawkins’ defenders that he is an “equal opportunity offender” in terms of his criticisms of various organised religions, the aforementioned 54 quotes speak for themselves and Dawkins’ real pattern of behaviour is self-evident. Amongst other things, it raises the question of whether Dawkins was already perfectly aware that the anti-Islam/anti-Muslim propaganda he is basing his statements on originates in members of Robert Spencer’s extremist inner circle and their respective hate websites (which would have very nasty implications about Dawkins himself), or whether Dawkins has been astonishingly incompetent about researching his sources of “information”. #16: “After the last census, Christianity in Britain benefited, in terms of political influence, from the approximately 70% who ticked the Christian box, whether or not they were really believers. With the menacing rise of Islam, some might even be tempted to tick the Christian box, for fear of doing anything to boost the influence of the religion of “peace””. #24: “Presumably we shall hear all the usual accommodationist bleats about “Nothing to do with Islam”, and “It’s cultural, not religious” and “Islam doesn’t approve the practice”. Whether or not Islam approves the practice depends – as with the death penalty for apostasy – on which ‘scholar’ you talk to. Islamic ‘scholar’? What a joke. What a sick, oxymoronic joke. Islamic ‘scholar’! Will you please stand up in the House of Lords and publicly denounce the very idea that, however seldom enforced, a religion has the right to kill those who leave it? And will you stand up and agree that, since a phobia is an irrational fear, “Islamophobic” is not an appropriate description of anybody who objects to it. And will you stand up and issue a public apology, on behalf of your gentle, peaceful religion, to Salman Rushdie? And to Theo van Gogh? And to all the women and girls who have been genitally mutilated? And to . . . I’m sure you know the list better than I do. #30: [Quoting: “Blimey Richard! This really has got up your nose, hasn’t it? Your comments are usually a great deal more measured. It’s not exactly uncommon for a Minister to “rise without trace”. I think we can all agree that our political system is “sub-optimal” to put it politely. Tokensim is one possibility (though if the Tories were really just after the muslim vote its interesting that they opted for a female muslim token).”] “I didn’t mean to suggest that the Tories were after the Muslim vote. I think they know that is a lost cause. I suspect that they were trying to live down their reputation as the nasty party, the party of racists, the party of sexists, the Church of England at prayer. More particularly, the ceaseless propaganda campaign against “Islamophobia” corrupts them just as it corrupts so many others. I suspect that the Tory leadership saw an opportunity to kill two, or possibly three, birds with one stone, by elevating this woman to the House of Lords and putting her in the Cabinet. I repeat, her [Baroness Sayeeda Warsi’s] qualifications for such a meteoric rise, as the youngest member of the House of Lords, are tantamount to zero. As far as I can see, her only distinction is to have stood for election to the House of Commons and lost. That’s it. “Whatever else you may say about Sam Harris’s article quoted above, and whether or not he is right about the NY mosque, the following two paragraphs, about Islam more generally, seem to me well worth repeating. [Quotes Sam Harris] “The first thing that all honest students of Islam must admit is that it is not absolutely clear where members of al Qaeda, the Taliban, al-Shabab, Lashkar-e-Taiba, Hamas, and other Muslim terrorist groups have misconstrued their religious obligations. If they are “extremists” who have deformed an ancient faith into a death cult, they haven’t deformed it by much. When one reads the Koran and the hadith, and consults the opinions of Muslim jurists over the centuries, one discovers that killing apostates, treating women like livestock, and waging jihad—not merely as an inner, spiritual struggle but as holy war against infidels—are practices that are central to the faith. Granted, one path out of this madness might be for mainstream Muslims to simply pretend that this isn’t so—and by this pretense persuade the next generation that the “true” Islam is peaceful, tolerant of difference, egalitarian, and fully compatible with a global civil society. But the holy books remain forever to be consulted, and no one will dare to edit them. Consequently, the most barbarous and divisive passages in these texts will remain forever open to being given their most plausible interpretations. #48: “Islam is surely the greatest man-made evil in the world today, and I think I’d feel a tiny bit more secure against the menacing threat of Islam and Islamic faith schools, under the Tories than under Labour”. #50: “I have just watched Fitna. I don’t know whether it is the original version, but it is the one linked by Jerry Coyne. Maybe Geert Wilders has done or said other things that justify epithets such as ‘disgusting’, or ‘racist’. But as far as this film is concerned, I can see nothing in it to substantiate such extreme vilification. There is much that is disgusting in the film, but it is all contained in the quotations, which I presume to be accurate, from the Koran and from various Muslim preachers and orators, and the clips of atrocities such as beheadings and public executions. At least as far as Fitna is concerned, to call Wilders ‘disgusting’ is surely no more sensible than shooting the messenger. If it is complained that these disgusting Koranic verses, or these disgusting Muslim speeches, or the more than disgusting Muslim executions, are ‘taken out of context’, I should like to be told what the proper context would look like, and how it could possibly make any difference. To repeat, Wilders may have said and done other things of which I am unaware, which deserve condemnation, but I can see nothing reprehensible in his making of Fitna, and certainly nothing for which he should go on trial. Like the film of Theo van Gogh and Ayaan Hirsi-Ali, the style of Fitna is restrained, the music, by Tchaikowski and Grieg, is excellently chosen and contributes to the restrained atmosphere of the film. The horrendous execution scenes are faded out before the coup-de-grace; all the stridency, and almost the only expressions of opinion, come from Muslims, not from Wilders. Yet another imbecile crying wolf over quotes mined from people whose ideas he lacks the intelligence to comprehend. Just another day in loony town. Indeed. He still had the strength to type up that article. He is a true super human. Imagine, he probably read a lot more and had to whittle it down to these 54.